Valentine's Day Is in Less than a Month Away. Better Make Plans Now! Call me Cupid because I think Valentine's day might be my favorite holiday! It’s that time of year again.Time to spring into action for Valentine’s Day and plan a special moment for those you love. Whether you want to plan a cute activity day for your kids, book the best table and have a romantic time on the town think if you could use a hand. Here are some fun ideas to bring your vision to life! Have a Be My Valentine Party at Home It's time to start planning your parties and gifts! Be sure to check out Tom Kat's Valentine's Day Collection Use code BEMINE15 at checkout for 15% off your entire purchase in the Valentine's Day section. Win A Charming Affair In New York! Try your luck in love with The Alexi and Ani + FWx Sweepstakes. Enter here for your chance to win a weekend for two in New York City! Contest enters at 11:59 PM ET on 01/25/15. If you would like to setup a consultation to bring your vision to life please contact us here. Wishing you a love-filled Valentine's Day! 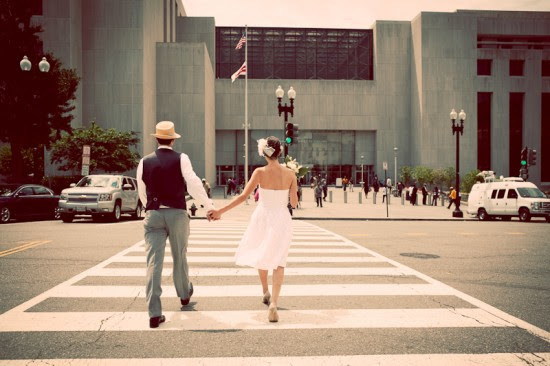 Save Big on Your DC Area Wedding with these Great Tips! The first step in the process is to determine your budget. Without a defined budget, the planning can become a little chaotic. As a standard guide, food and drink will be approximately 45 percent of your budget; the venue will be approximately 20 percent; floral and décor approximately 15 percent; photography approximately 10 percent; and so forth. Statistics for the wedding industry indicate that the average wedding cost in the Washington DC is around $37,500. Be realistic and wise with your budget, and do not go into debt to have a wedding; invest in what you can actually afford. Also keep in mind these eleven unexpected wedding costs. 1 – Gratuity If your wedding vendors do an outstanding job, you can and should feel free to tip them. With around 40 different vendors (Yes, 40!) all contributing to your wedding, tips can add up! Be sure to read our post about tipping wedding vendors in the Washington DC area. This post has more information about how much to tip and who you should tip in the DC area. 2 – Rain Plans Let’s face it, the weather in the Washington DC area is unpredictable. (As I’m writing this I’m looking out my window at nearly a foot of snow in downtown Washington DC!) If you are having any part of your wedding outside, you should have an indoor or alternative option. Sometimes ”plan b” options include wedding-day rentals like a tent, heaters, and additional space – these things cost money. In most cases, you’ll need to reserve the items or at the very least put a deposit down to hold them. 3 – Albums There are all types of ways to compile and cherish your wedding photographs. Many photographers charge an additional fee to design and produce a wedding album. Be sure to ask about it in advance, if that is something you might want after your wedding. Also, think about albums for others in your family like parents and grandparents. 4 – Gifts It is true that you will be getting the bulk of the gifts on your wedding day. However, there are some gifts that you might be giving. There are not set prices for these types of gifts, but certainly something you’ll want to budget for. It is very nice to give a gift to everyone in your wedding party and your wedding ceremony participants. You might also want to think about gifts for each other. Gifts are also nice for friends and family members who helped with the wedding. Other gifts include wedding favors and welcome bags for your guests. 5 – Dress Alterations In addition to the cost of your wedding dress, you will most likely need to have alternations done. Wedding dress alterations include hemming it so that it doesn’t drag on the ground and fixing the sleeves and straps. Alternations will ensure that your dress fits you perfectly, like a glove! 7 – Postage The design and production of wedding invitations are one cost, and the cost to mail them out to your guests is an additional cost. If you are doing a typical invitation suite, you’ll need two stamps per set: One for the invitation and one for the RSVP card. A USPS first class stamp is currently $0.49 and for two stamps for 200 invitations that is $196. However, most wedding invitations are too heavy for a first class stamp and sometimes the envelop is an odd shape, so these stamps will cost more. Be sure to factor in postage to your final invitation costs. 9 – Vendor Needs There are a few little things that you might need to pay for your vendors such as parking and meals. Your vendors will be working a long day for you, and you’ll need to feed them. Your caterer should take care of feeding them, but the meals can cost anywhere from $15 to $60 per person. You might also be on the hook to pay for the parking for your wedding vendors, including your vendors like hair and make up artists and entertainment. These are typical costs, but maybe not costs you were expecting. These is probably the last things you want to deal with at the end of the night, so just ask about it in advance so you can be prepared. 10 – Taxes For all things, you’ll have to pay taxes. For big-ticket wedding items like your venue, food and beverage, the taxes can be quite a bit of money. Taxes in Washington DC are up to 10%, so if you are on a super tight budget you might save some money with a wedding in Maryland and Virginia where the taxes are 4-5%. Be very aware of initial proposals that don’t include taxes. You will be charged taxes in the end, but sometimes the first few proposals don’t include tax to make the overall cost look lower. 11 – Last Minute Items It is the week or two before your wedding and this is the time that you are paying for rush shipping to ensure that everything arrives on time. Or, even worse, this is the time that you are panicking and adding things onto your wedding day. This can be little things like your wedding garter or jewelry or craft supplies to complete any DIY projects you are working on. It can even be the last minute “I think I want a wedding video!” Either way, do your best to think of everything you’ll need for your wedding in advance to avoid last minute scrambling and extra costs. Now that we have established guidelines for the budget process, let’s discuss five avenues in which you can save money on your wedding day by focusing on timing and flexibility. To reduce cost in the venue area of your wedding, be flexible with your date in regards to the time of year and day of the week. Most venues have peak periods when the negotiation for cost will be very minimal, so ask your venue coordinator what are the non-peak periods in which the cost of hosting an event will fit into your budget. Most non-peak periods in the DC area are in the winter months. Scheduling your wedding during a non-peak time could reduce the cost anywhere from 15-20 percent. If you are flexible on the day of the week, you can save money as well. Traditional weddings occur on Saturdays (the most popular day). However, if you are open to a non-traditional day, consider hosting your wedding on a Wednesday through Sunday. The savings for a weekday wedding range from anywhere from 20-40 percent a huge savings! When speaking with your venue coordinator, acknowledge your budget in the beginning of the conversation, and ask how and where you can save so that hosting your wedding at their location fits within your established budget. Here are a list of some reasonably priced local venues to keep in mind. The Mount Vernon Inn in Mount Vernon, Virginia. Jefferson Patterson Park in St. Leonard, Maryland. Oxon Hill Manor in Oxon Hill, Maryland. The Middleburg Community Center in Middleburg, VA.
To save money by considering time and flexibility, think non-traditional when it comes to your wedding meal. The traditional wedding reception is the standard evening dinner that contains a beef, chicken, or a fish entrée, preceded with the traditional hors d’oeuvre selections. Now think, non-traditional. Consider hosting a brunch-style reception starting around late morning or early afternoon. The style of service for brunch receptions can either be served, buffet, or interactive stations (omelet station, waffle station, potato bar). The excitement around the brunch is that your guests that commonly attend events or weddings, have the opportunity to taste something different and have fun with some of their favorite breakfast treats. Brunch receptions that I have hosted in the Washington DC area average around $85 to $100 per person versus a dinner reception around $175 to $200 per person. If you are flexible with the time of day for your reception, you can ultimately save, save, save! Your beverage selection is another route to consider cost reducing alternatives on your special day. One suggestion is to limit your beverage selection from a full bar to just wine and beer. To add a little spice to your selection, create two specialty cocktails from one type of alcohol. Another suggestion is to eliminate alcoholic beverages from the bar completely and have mocktails. There are many flavorful and interesting mocktails. Have your venue or caterer be creative with various types of punches, teas and lemonades. If you are hiring an outside caterer, an option is to purchase the alcohol yourself from a beverage company in which you can return bottles/cases that have not been opened. You can save as much as 50 percent by purchasing the alcohol yourself rather than having the caterer to purchase the alcohol for you. This method only works with an outside caterer. Unfortunately, you would not be able to purchase alcohol yourself when hosting your wedding at a hotel or a venue that does its own catering. To help preserve your financial resources during your wedding, you can also focus on timing and flexibility with your floral selection. Time is significant when selecting flowers. Select flowers that are in season year round, such as baby’s breath, calla lilies and roses. For example, although orchids are in season year round, phalaenopsis orchids are more expensive than dendrodium orchids. It is the same scenario with hydrangeas; your typical white or blue hydrangea is less expensive than a purple or pink hydrangea. When discussing flowers with your floral designer, inquire with them about what is in season and how you can achieve the same look that is cost effective for you by being flexible with your flower selection. If you are flexible with considering alternatives and flexible with time, you can plan the perfect wedding with the perfect budget! #WeddingWednesday: Fall Outdoor Wedding Tips and Ideas! Fall is just around the corner and that means bonfires, apple cider, pumpkins and yes...pie! Fall colors are gorgeous and make it a great season for an outdoor wedding. Here are some fun creative ways to incorporate some of your favorite fall festivities into your big day! I don't know about you but when I think Fall I think pumpkins and hayrides. Orange might not be your fist choice for decor so consider painting or even decorating pumpkins to add that fall feel to the scene. Switch things up a bit by getting rid of traditional ceremony seating and going instead with hay barrels. As beautiful as an outdoor wedding might be we all get a little chilly after a while. Help guest combat the cold by offering blankets to keep them warm. If you really want to heat things up bonfires are the way to go. They will get your guests warm in no time and can actually be quite romantic. And if you do choose to have a bonfire then its only right that you have s'mores! Pre-made kits make the cutest favors! If your venue doesn't allow open pits of fire or if you just don't have the extra space you can still have a s'mores bar. Just use small burners to roast the marshmallows. Its a great substitute for a sweets bar. Speaking of sweets; instead of going with the usual cake for dessert try offering up some fall flavored pumpkin and apple pie. A Picture Perfect Graduation Party! Inspired by nostalgic moments & the promises of a bright future, Do Driver of Piggy Bank Parties styled this creative “Picture Your Future” Graduation Party with Polaroid & photo album decor! The adorable “yearbook” party favors and “Sweet Memories” photo garland are such great graduation party ideas… they get an A+! Graduation is often a time of reflection when photo albums and yearbooks from the past are reminisced over while dreams of what the future holds are ever present. This graduation party design was inspired by the magical Polaroid photographs of yesteryear and the slides you’d see projected on the white wall of your grandparents’ basement! Arrange a surprise proposal with a street caricaturist. Have him sketch a picture of you two with word bubbles. Yours will read, "Will you marry me?" and hers will say, "Yes!" This is a very cute idea and from the research I've done it would be roughly $75-100. And you'll have something to frame to commemorate this exciting event. Make the box holding her ring a selection on the dessert tray at your favorite restaurant. Well, I'm going to assume you're not taking her to a hole in the wall down the street but a fancy intimate place. I mean, if they have a dessert tray, you know it's going to be a little pricey, $75-$100 easy. Of course you'll have to order some champagne, which will add a few more dollars to the grand total. Gather your families together for a barbecue and make it a family affair. This proposal can range from $50 to $100 easy but it will be an event the whole family will be thinking about for years to come. A way to cut costs- make it a potluck and have family members bring a dish. Propose in a flower or botanical garden when everything is in bloom. Depending on where you live, a botanical garden roughly cost $12-20 dollars a ticket. If you take her there while everything is in bloom $40 will seem like a good value- make sure to bring your camera. Go out for a night of dancing and ask the DJ or bandleader to pass you the mic so you can dedicate a song and propose on the dance floor. Talk about shock and awe! You can expect to about $10 a person to get into any busy club, so about $20 total, but one unforgettable proposal! Spell your proposal out in glow-in-the-dark star stickers on your ceiling. Get into bed, turn the lights off and wait for the inevitable gasp. I took at look at Amazon and found these stars online for about $15 because I had no idea where you'd purchased them otherwise. Quick things to keep in mind however, make sure she's not there when the package is delivered. A girl always has to know what's in the box. Play hangman and have the phrase be "Marry me." Pencil plus paper equals free. Then be sure to contact us here at Favored by Yodit Events so we can help you plan the wedding of her dreams! Decorating Easter eggs is one of the most popular activities when it comes to celebrating Easter. Easter eggs are party of the celebration for kids as they often participate in Easter egg hunts. However, Easter eggs are often just a pretty decoration that work their way into lovely holiday centerpieces and other arrangements. Here's the trick for Easter egg decorating: use an old-fashioned rubber band. You'll actually want many of them! Before dyeing your Easter eggs, secure a few rubber bands of varying widths around each egg. The result? Patterns of perfect white bands around your eggs. Try to shift the position of the rubber bands to achieve different patterns. Though the striped patterns on each of your Easter eggs will be different, the simple mixture of bright Easter colors and white stripes will serve as a lovely unifying design theme that keeps your Easter activities aesthetically pleasing. Another idea for Easter eggs is decoupage. Make a simple mixture of glue and water, and paste your favorite magazine or newspaper clippings to the outer surface of each egg. Talk about unique Easter eggs! The end result is a sophisticated, polished and antique look that will impress all of your Easter Sunday guests. No matter how you decorate your Easter eggs, be sure to make time for fun in your Easter activities! Find more inspiration for your easter egg decorating below. Whether your wedding is in a big, elegant church, or a rustic, old garden, or at a white, sandy beach, the backdrop and decorations of a wedding ceremony can really make a lasting impression. And luckily, a pretty ceremony doesn't have to cost a fortune. When it comes to ceremony decorating, less tends to be more. Additionally, you can save some money by being creative and keeping it simple. Here are 15 ideas for decorating your ceremony while sticking to your budget. 1. Use Your Venue’s Decorations If you’re getting married in a church, see what decorations they have for you to use. Many have candelabras which can add sophistication to your ceremony. Also, you may not have to decorate at all if you plan to get married during Christmas or Easter time when churches are already adorned with flowers and greenery. 2. Use Candles Instead of Flowers Candles are a lot cheaper than wedding flower arrangements, and can often be more romantic. Use them at the altar, to line the aisle (make sure they’re in fireproof bags or enclosed in glass to prevent fire hazards), or even in place of bouquets. 3. Get Some Potted Plants In the royal wedding of Prince William and Kate Middleton, they lined the aisle of the beautiful Westminster Abbey with big, potted trees creating an English garden atmosphere. You can do something similar by bringing some potted plants from home or borrowing a few from a friend. 4. Buy Lots of Tulle There are so many fun things that you can do with tulle to decorate, but here are two of my favorites. The first thing you can do is create a canopy effect with the tulle. Have a few friends hang some from the center of the ceiling and then drape it down to the corners of the altar or stage. To complement the tulle canopy, use tulle to make bows to put on the pews or rows of chairs. 5. Decorate the Altar Only If you have a beautiful wedding venue already, there is no need to go overboard with your decorations. Perhaps all you need is a simple arrangement at the altar. 6. Decorate Your Own Unity Candle This is a fun and easy project that can be done in less than one hour. Go to a craft store and buy a plain, white candle that is at least two inches in diameter. You will also need to buy a ribbon (at least two inches wide) and some sequins. To assemble your own unity candle, glue the ribbon around the bottom of the candle and then glue the sequins on the front of the candle so that they spell the first letter of the groom’s last name. 7. Go Shelling If you live by the beach and have access to free shells, put them in clear vases or hurricanes to be used as wedding decorations. Although shells would be a great addition to a wedding near the ocean, they would also be a beautiful added surprise to a landlocked wedding as well. 8. Throw Down Some Flower Petals Even if you do not have a flower girl, you can still throw down some flower petals along the aisle. This can be done as part of the decorating process before the guests arrive. Flower petals are inexpensive to buy compared to actual flower arrangements, so if you really want flowers but don’t want to spend the money, this is a great way to add them into the decoration of your ceremony. 9. Pick a Naturally Beautiful Setting Outdoor garden, beach, or mountain weddings are already decorated for you. For example, if you’re getting married at a farm, throw down some hay bales for seating and you’ve got a rustic, but romantic aisle to walk down. If you want a garden wedding, make sure you get married in the spring when all the flowers are in full bloom. 10. Have a Focal Point There needs to be some sort of focal point that you and your spouse-to-be meet at to be wedded. The focal point will act as a frame around the event. Some of the most common options are arches and gazebos. First check to see if you will have one provided to you by your venue. If not, you can buy one, rent one, or make one. Unless you are a carpenter or a handyman, you should probably opt to rent one. I suggest renting an arch since they are typically cheaper than gazebos and look just as nice. 11. Hang Some Christmas Lights If you are getting wed in the evening, white Christmas lights are a must. And if you’re renting an archway, it would be the perfect place for the lights. Also consider hanging lights in some of the trees if you will be in an outdoor setting. 12. Mow the Lawn This may seem obvious, but if you are getting married in a backyard, start working on the lawn early to ensure that it will be ready in time for the big day. If the yard is kept up with regularly, it will look better for the wedding. Also, start early to plan out what flowers and plants you want to feature. Planting bulbs months in advance will save you from buying more expensive flowers to plant the week before the wedding. 13. Use a Theme to Guide You I went to a wedding not too long ago that had an amazing “Zen” theme throughout. Some of the decorations included paper parasols, lanterns, and bonsai trees. They even had rock gardens as the wedding reception centerpieces to complete the theme. What’s great about using a theme is that you only need a few elements to make a big impact on the overall impression of the ceremony. 14. Light It Up In addition to white Christmas lights or candles, other ways to light up your evening are to use luminaries, torches, and lanterns. Use what is most appropriate given your particular wedding venue. Also, keep in mind whether or not children will be at your wedding and if it would cause any issues to have open flames. 15. Blow Bubbles Although this may sound childish, bubbles can actually add an elegant touch if done correctly. If you’re going to use a bubble machine, make sure that the machine is out of sight and that the bubbles are not coming out too quickly or too slowly. Also make sure that the bubble machine is not too noisy. The key to successful wedding ceremony decor is simplicity. Clean, elegant flower arrangements, a few strategically placed candles or some potted plants to add a little greenery are all you need to create a romantic and memorable ceremony. Less is more – which ultimately means more money in your wallet. Wedding Wednesday Chalk Inspired Wedding Trends! I love the idea of incorporating chalk details in your wedding – such a modern + whimsical accent for your day! This super pretty shoot styled by Vintage My Wedding + photographed by Love Is A Big Deal is full of lots of ideas to bring this artistic trend into your wedding. I think it would look perfect for a loft or warehouse venue, right? Love the idea of using placemats instead of guest cards! A chalkboard backdrop allows for lots of fun options! From photo booth backdrops to leaving sweet messages to your dessert table backdrop, the options are endless! There are so many brides and grooms opting to use scrabble letters for their wedding these days. Whether it is for their "Save the Date" cards or place settings, brides and grooms have come up with creative ways of incorporating their most loved game into their wedding. Are you thinking of throwing a St. Patrick's Day themed party? Looking for a little inspiration? Well look no further! Its National Strawberry Day! Here's some inspiration for strawberry themed weddings, bridal showers, brunches and more! Keep your bridal shower menu fresh and fruity with strawberries! A strawberry theme is perfect for a summer outdoor wedding. Strawberries themes also work well for formal indoor weddings. Place jars of fresh jam on each table setting for charming (and delicious!) wedding favors. And who doesn't love brunch? Start your day off an a sweet note with strawberry smoothies and parfaits. Sweets tables are a growing trend and guest favorite. Whether you're hosting a birthday party, wedding or brunch a sweets table is a must! Here are some fun and easy recipes to get the party started! Directions: puree the strawberries in a blender or food processor. Pout puree into a glass and top with champagne. Ingredients: 1 large angel food cake (plain), 2 pkg fresh strawberries( frozen is fine), 1 tub of cool whipped topping, strawberry mousse. In an ovenproof bowl (such as a Pyrex) mix first five ingredients. Put the bowl in the oven for around 15 minutes (the edges will be brown and the butter will be bubbling). Carefully remove the bowl (it will be very hot) and quickly mix in the flour until it forms a ball of dough. Place the dough into a 9 inch tart pan with a removable bottom and spread it around with a spatula. When it is cool enough to handle, press it into bottom and sides of the pan with your fingers. Prick the bottom of the dough with a fork around ten times and bake for 15 minutes or until golden brown. While the crust is baking, place the cream cheese, powdered sugar and vanilla in a small bowl. After around 30 minutes, there should be some liquid in bowl of strawberries. Drain it into the cream cheese and mix everything together. You can do this by hand, but a mixer or hand blender will be faster and make it smoother. When the crust is cooled, spread the cream cheese mixture onto the bottom of the tart. Arrange the strawberry slices over the cream cheese and chill. Slice and serve. We love a good giveaway and were excited when local designer Kendra Barnes of CUTEnCRAFTY approached us about sharing her fun gift for groom-to-be's! CUTEnCRAFTY is giving away 5 pairs of Groomsmen socks on Instagram (@cutencraftyshop) and what better way to stay warm and save money! Kendra first designed her Cold Feet Socks for her own groom, to ease any of those those pre-wedding jitters on their special day. Everyone loved it and since then, Kendra has offered her items on Etsy as fun day-of gifts. Check them out and get 20% off of your entire order when you purchase 5 or more Groomsmen Socks. Use the code GROOMSMAN at checkout and make sure to follow them for more details and tell them Favored by Yodit Events sent you! For my 28th Birthday I wanted to do something "sweet" to celebrate with my closet friends and decided to host a brunch & ice skating soiree! Since my birthday is January 21st its always freezing so I wanted to give guest a favor that would keep them warm in the cold! Below are some photographs of the hot cocoa mix favors I made and the easy to do hot cocoa bar at the ice rink for my guest to indulge in at the event. I recommend putting out a few different toppings as part of your hot chocolate bar, so that guests can mix and match their favorites. I also used hot cocoa flags to dress up my home made marshmallow and brownie bites which are great when you dip them in your hot cocoa! Brunch without a signature mimosa is not a fun brunch in my eyes so I was thankful to find that Sequoia Restaurant in DC had a great unlimited mimosa option for my guest to be happy! See more photos on our Favored by Yodit Events (Yodit Gebreyes) facebook page here. Make sure to "Like Us"! We want to help @mr300sandwiches propose! Don't you? We all know the lengths us women have gone to get a man...well nothing takes the cake or should I say sandwich than Ms. Sandwich Girl, Stepahnie Smith, the blogger of 300sandwiches.com, a beautifully photographed blog that documents her quest to woo her boyfriend with bread-and-meat creations. 1.) Make a Video Montage with Family & Friends...And 300 Sandwiches! The idea of a magical proposal is making it last forever in the persons mind and heart. Thanks to youtube and other video channels we are able to make a moment last until the end of time, just like someones love! I think it would be special for Stephanie to watch Eric recreate all 300 sandwiches she made him by having a video montage of the experience and their closet friends and family telling her 300 reason why Eric wants her to be his wife with a sandwich in hand! 2.) Make Her The Most Unforgettable Sandwich Ever...She deserves it! Reporters said "It must be true love" when a man stuck an engagement ring into the bun of a chicken sandwich—and the woman accepted the proposal. Well I think Eric should take a que from this guy and pop the question with a ring in a sandwich! Not just any average sandwich, but one that will give Stephanie butterflies especially since she made all those sandwiches to get him to propose. I would do a couple things different; In the photo above, the sandwich and accompanying engagement ring seems boring, no thought went into it. Dont just stick a ring in a sandwich be creative in your approach. Secondly you can tell it wasn't a homemade sandwich and from a fast food restaurant so I would say Eric should make it a bit more classy and make it at home and pull out all the stops and make her feel like a Queen. Make her favorite sandwich and place the ring and ask her to marry you before she makes you another 300 sandwiches! Girls love when their men tell them "I love you". Well Eric tell Stepanie all the reasons why you love her and write them down with all your favorite things that make up Stephanie, like a sandwich. Is it her big heart, her gorgeous smile or the fact that she can cook? Whatever it is right it down and make it into a cute recipe and give it to her in a frame, a scroll, a canvas or some romantic special way so she can keep it forever. The recipe can also have a frame-by-frame comic style picture of you two leading up to the proposal. Get brownie points by adding friends, family and live musicians to come out and start playing a love song dedicated to her. She will definitely be surprised. Plus who doesn't love the excitement and thrill a flash mob brings to any occasion, especially an engagement proposal. Just because Halloween is coming doesn't mean you have to break your diet! There are a ton of healthy snacks receipes that are not only good for you, but taste good and look good. Check out some Healthy Halloween Treat Inspiration below that can pull double duty as decor. How cute are these Chocolate Banana Ghosts and Celery and Orange Pumpkins! Crave open apple slices and fill with peanut butter to make scary vampire teeth. Make the teeth with the left over apple or with almonds! Are you having a Halloween party but don't want to decorate with the typical orange and black scary decor? Class up the party with white and black decor or glitter pumpkins! They are really easy to do yourself and will still make your place look festive even after all of the fun is over. Check out some inspiration below and instructions to make your DIY glitter pumpkins. 1. Mix the glue with a little bit of water in a cup so that it will be easier to paint on your pumpkin. 3. Gently and carefully cover your pumpkin with glitter. You'll have to turn it a few times to get all the spots. If you need to, add a little more glue to any spots where the glitter doesn't take the first time. 4. Shake the pumpkin to remove any extra glitter. 5. Leave your pumpkin to dry, and enjoy! Recently, our October Bride Clarissa had her bridal shower. Her bridesmaids hosted a beautiful DIY tea party and got most of the ideas from Pinterest! If you have been living under a rock and don't know what Pinterest is (lol), it is a social media space where you can share everything from DIY decor ideas, receipes, quotes, fashion, and event inspiration. It is a great medium for ideas if you want your event to stand out but just need a little help. Check out how Clarissa's bridesmaids used Pinterest to make her bridal shower a day she will never forget. Nothing says vintage like mason jars. The favors were mason jars filled with cookie ingredients and placed on an old wooden ladder and crate that guests could take as they left. Some ribbon, dollies, and colorful straws can dress up any drinking station. Very cost effective and easy to do. Staying with the Vintage theme, the hosts used an old briefcase and lace to gather the gifts and cards. How cute is this welcome sign? All of these unique pieces add such a nice touch, and can be found anywhere. Start with a Parent's house! Instead of using a folding table for the desserts, substitute it for an dresser! Mismatched platters and lace runners add a nice subtle touch. We're getting close to Labor Day. You know what that means...Party Time! Labor Day is approaching fast. Take the day off, fire up the grill, and throw a party! Stars and Stripes or in! Setting a both beautiful and simple table like this allows for plenty of good conversation and fun. I love the look of blue napkins and plaid table ! How cute are these Fireworks Fans from Martha Stewart? These festive, easy-to-make fans are ideal for last-minute Labor Day entertaining. You can cluster a group of them in a bowl to create a celebratory centerpiece or place one on each place setting as a colorful and cooling party favor. Here is a easy Labor Day Recipe for Ciroc Watermelon Punch! In a blender put de-seeded watermelon chunks and a little ice. Add in a few drops of Ciroc Vodka (Try the New Ciroc Amaretto Flavor!). Muddle in 1 or 2 fresh mint leaves. Ahhh...so refreshing & Enjoy your Labor Day Weekend!!! Are you looking for a small way to make your wedding stand out? Instead of a tradional guestbook, try a Wishing Tree. With origins in Holland, guests write their well wishes for the couple on small pieces of paper and hang them on a tree with string or hooks. The tree can be customized to fit any theme and color to blend in with the rest of the reception space. You can order an already made wishing tree from several sites or you can save a few dollars and make it yourself! Check out the step by step instructions below. Bare tree branches (e.g., manzanita, mitsumata, etc. – about 3 to 4 feet in height) – look in your backyard for some tree branches, too! You can use one large branch or several smaller ones. Craft cement. If you are using a glass vase, then you can use clear or colored marbles/rocks as the anchor. Floral Foam (for stuffing the tree planter. Foam not needed for glass vases). Fresh flowers - 1-2 bunches of flowers for flower bed covering (depending on type of flower you are using). Clear fish wire or glue gun (optional) – if you want to attach a few flowers to some of the branches. Colored cardstock (in your color theme) and glue stick (optional) – to make a Wish Tree instructions sign. Place branch(es) in planter or vase. If you are using clear vase, then fill the vase with heavy rocks, marbles, etc. Make sure the branches are stable. You can lean the branches diagonaly on each side of the vase for better stability. If you are using a solid planter, fill a quarter of the base with cement to set the branch in it’s position. fill the rest of the planter with floral foam, leaving about 1-2 inches of space from the top of the planter. Fill the planter with water to ensure floral foam soaks up the water. Do NOT fill water all the way to the top of the planter, as you will spill the water when you transport it. Cut your fresh flowers down (at an angle) leaving about 2 inches stem. Stick your flowers into floral foam, covering the entire base to make the flower bed. TIP: Water your foam everyday to ensure foam has water to feed your flowers! Cut colored paper into business size cards and punch hole on left side. Cut ribbon about 14″ long and tie around punched hole. You can tie the loose ends together or have your guests do it when they hang their card. Optional – If you would like to add flowers to branches, cut flower down to it’s base and simply glue or tie single flowers onto branch with glue gun or fishing wire. Do this as last as possible, because your flowers on the branch will not have any water source and may wilt by the end of the day, depending on the type of flower you use! Optional - To make your Wish Tree instructions sign, print out the following message (you can change wording if you’d like) on your cardstock and glue onto another cardstock of your theme colors. Please use the provided tags to leave a note for Bride name & Groom name. Then hang your note on the tree! Have FUN and don’t forget to sign your name!!! Send us some pictures of your wedding wishing tree! We would love to see them! Save While You Savor: 2 Favorite #DIY Desserts in Jars! Instructions: Preheat oven to 350 degrees. Prepare peaches. In a large bowl, combine peaches along with the rest of the peach crisp filling ingredients. Set aside. Place crushed graham crackers, melted butter and sugar in a medium bowl and mix thoroughly. Press several tablespoons of the mixture into each jar and press down with a measuring cup. Mix ingredients for crumble topping using a whisk. Add peach filling to the jars, making sure you leave room for the crumble topping. Spoon crumble mixture on top of peach filling. If you are planning to add a lid, do not overfill. Place jars on a parchment lined baking sheet and bake for 30-35 minutes on a low oven rack. Instructions: If you are planning on storing these for a while, you will need to sterilize your jars. Preheat oven to 325 degrees F (165 degrees C). Grease insides of a dozen 250ml canning jars. In a large bowl, cream shortening and sugar until light and fluffy. Mash bananas. Beat in eggs, bananas, and water. Sift together flour, baking powder, soda, salt, cinnamon, and cloves. Add to banana mixture. Add nuts and stir them in with spoon. Insert canning funnel into mouth of jar and pour mixture into greased jars, filling half full. Place jars directly on rack in oven. Do NOT put lids on jars for baking. Be careful to keep the rims clean, wiping off any batter that gets on the rims. Bake for 45 minutes. Don’t worry if a few rise over the top of the jar a bit like this one. You can press it down with the lid. Note: To be safe, I wouldn’t make these more than a week before your wedding or event. We don’t endorse keeping for long periods because we are not food scientists and cannot speak to longevity canned bread.